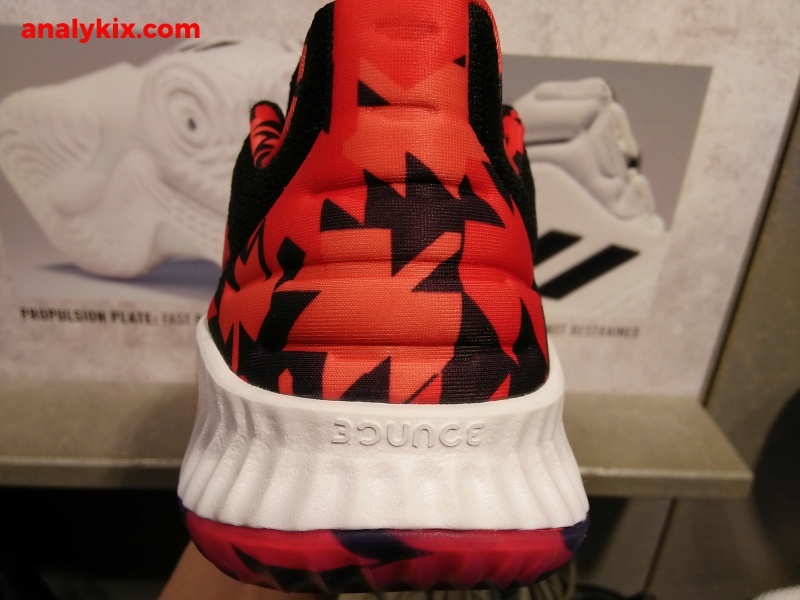 More Pro Bounce Low PEs, Hooray!!! This time, Timberwolves big man, Andrew Wiggins. 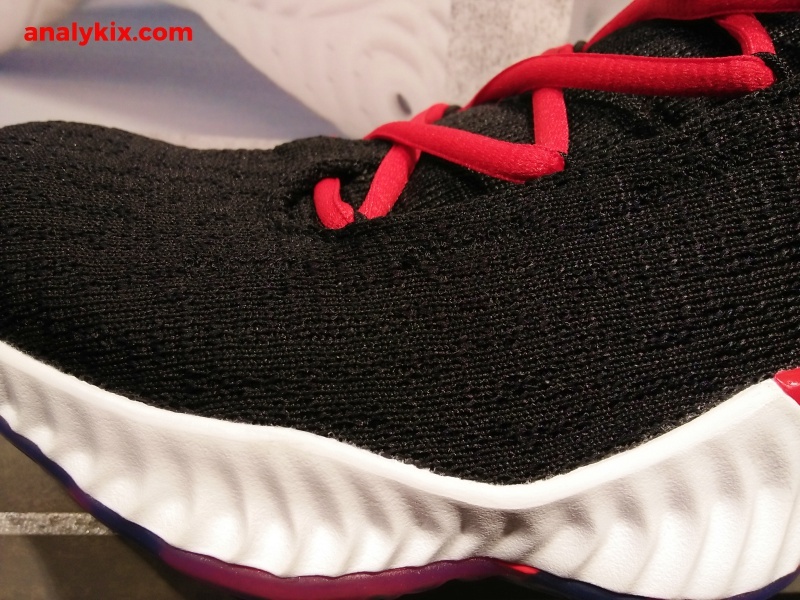 Sporting a black knit upper, red accents can be see on the 3 stripes branding, laces, and torsion plate. 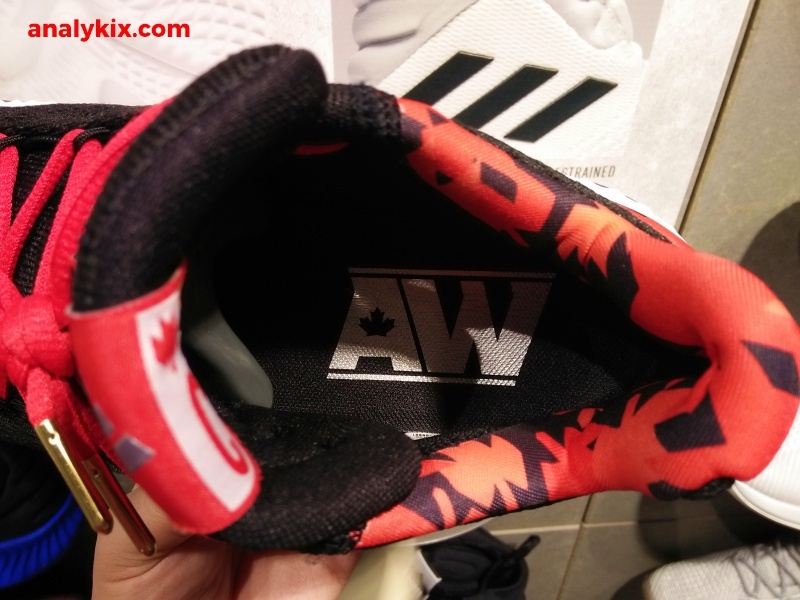 On the tongue up front, it says AW and behind it says Canada. 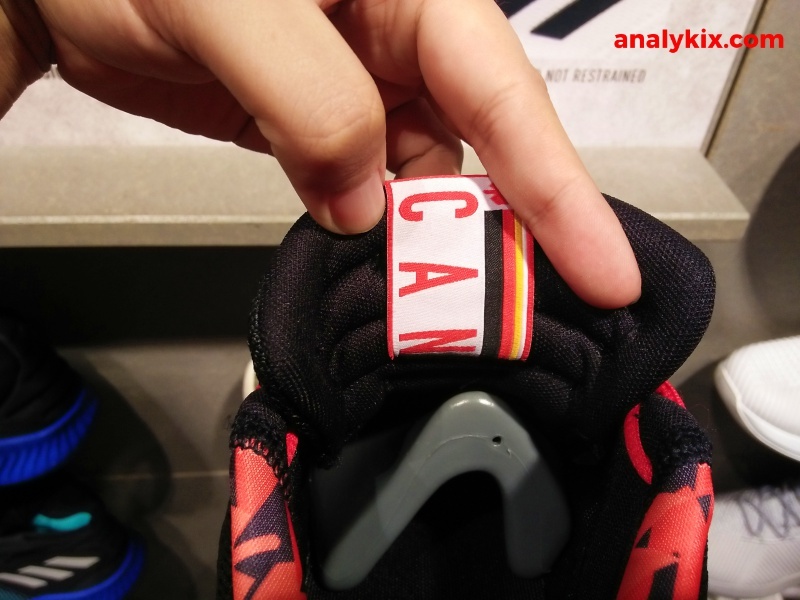 Also, there are some maple leaf graphics on the heel, inner linings of the shoe, as well as underneath on the translucent outsole reppin Canada. 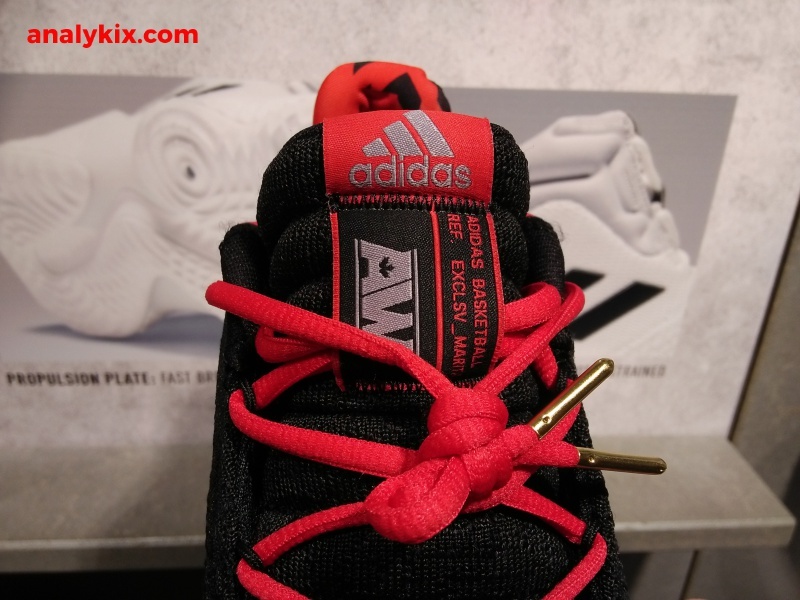 In case you don't know yet, Wiggins is from Canada and there are even some colorways of previous adidas shoes where there are Canada references on the design. 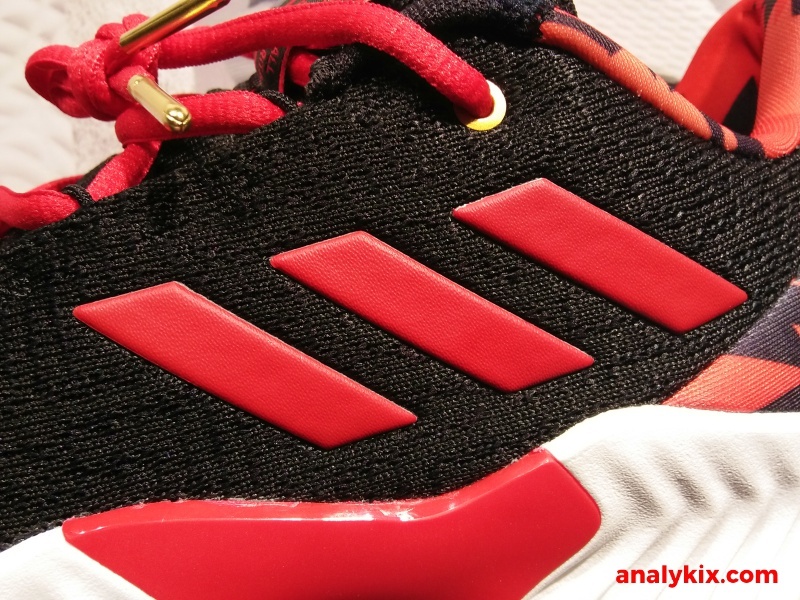 The color scheme might be far from the Minnesota Timberwolves colorway, but word is out that the league is somewhat more lenient to players rocking different colors of kicks that are different from their teams colors, so we'll have to see if he will play in them in an actual game. 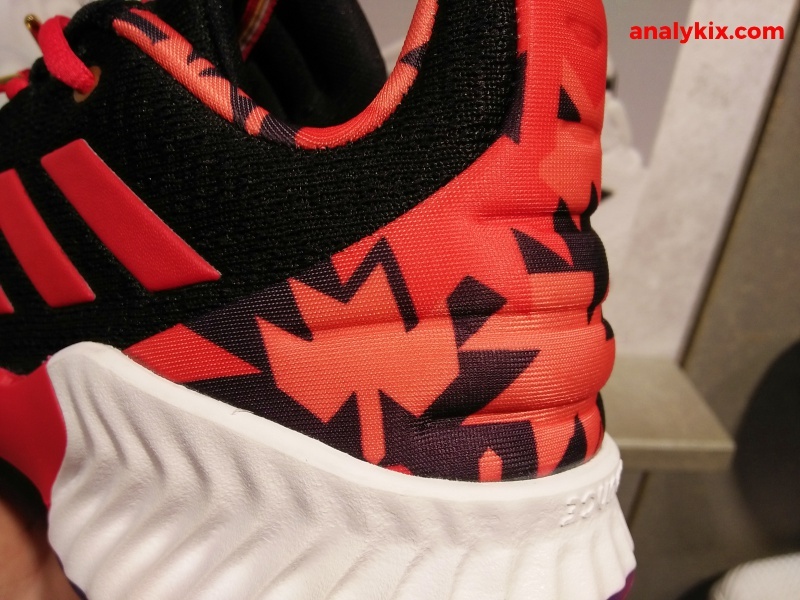 When that happens, he could also rep the "Minnesota Timberbulls" (just kidding). 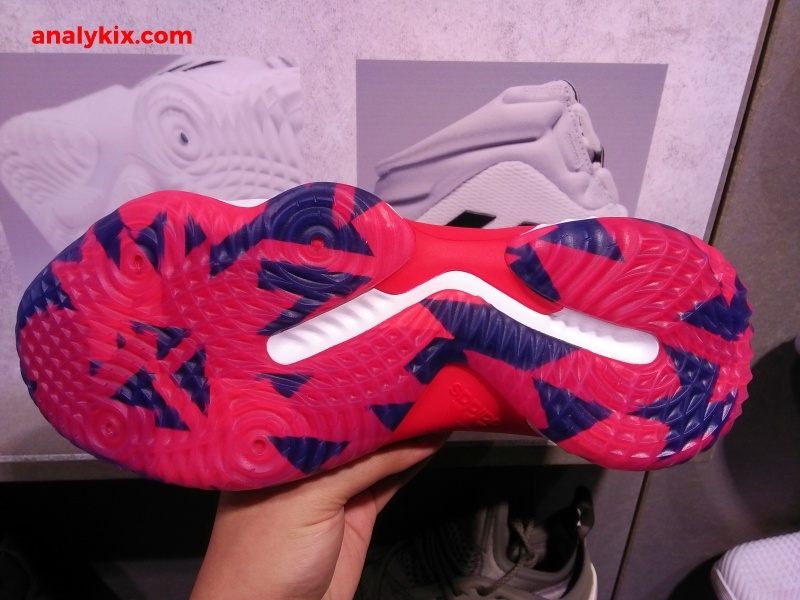 Anyway, this colorway is simple and could pass as a team shoe for some schools. 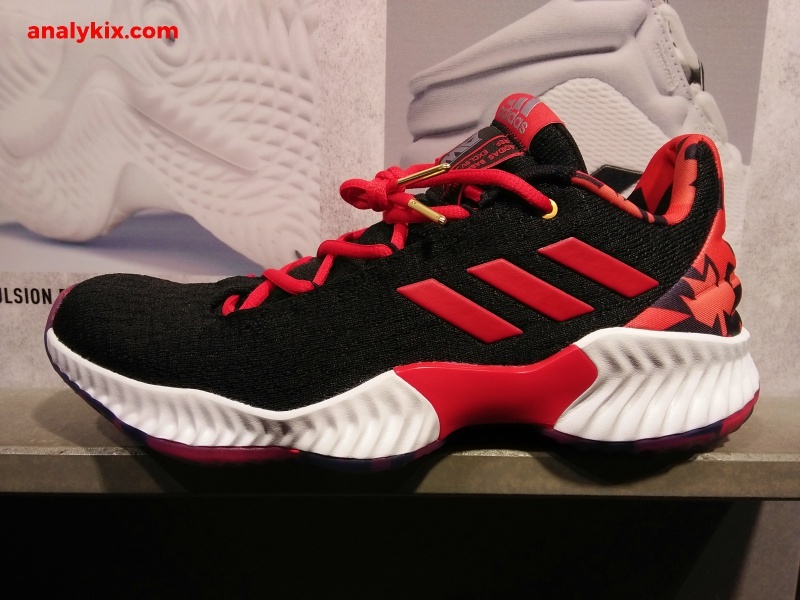 The said colorway is available now at adidas Trinoma for the same price as the regular released lows (Php 5,800 if I'm not mistaken).